50-Year Flashback Fifty years ago Monday, Feb. 28, 1961, Jim Murray wrote about one of the most renown jockeys of all time, William Lee Shoemaker (Aug. 19, 1931 — Oct. 12, 2003). At the age of 19, he was making so much money (approximately $2,500 each week), with the consent of his parents, Los Angeles Superior Court appointed attorney Horace Hahn as his guardian. Shoemaker was inducted into the National Museum of Racing and Hall of Fame in 1958. On a sultry night in August in the little town of Fabens, Texas, 30 dusty miles southeast of El Paso, the country doctor received a hurry-up call from the wife of the town feed store clerk. It was a month early but she was sure it was her time. Even her mother, a veteran of 11 births of her own, advised haste. The doctor threw his bag, with the rubber stethoscope trailing out the side, into the back seat of his muddy Ford and set out for the small frame house of the Shoemaker family on the edge of the cotton fields. “That baby'll be dead by morning." The good doctor was wrong of course. That was 29 years ago and last Saturday at Santa Anita, 52,346 fans saw Mrs. Shoemaker's premature baby, now grown to manhood and the most accomplished jockey on the American tracks today, win still another $100,000 race and add to a bankroll which could probably buy all of Fabens and a good chuck of El Paso today. Willie Shoemaker, born Billy Lee Shoemaker, Aug 19, 1931, owes it all to the fact his grandmother, a sturdy plainswoman named Mrs. Wallie Harris, carefully picked up her tiny grandson that fateful midnight and tenderly laid him in a cardboard box behind the stove which was lighted even on that hot night to give him warmth. "Finally, about 5 o'clock in the morning, we heard a little squeak out of him," his mother was to recall many years later. 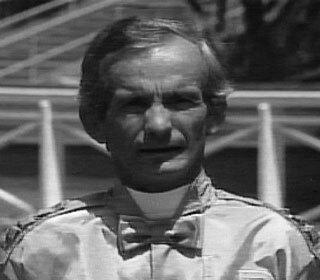 For the better part of 20 years thereafter, that was all anyone was to hear out of Bill Shoemaker. Fed by an eye-dropper and carried around on a pillow until he was over half a year old, he got such a late start toward growth that — luckily for him — he never did catch up with other children. His own brother, Lonnie, born a year and a week later, was full-term and grew to 6-foot-0 and 190 lb. His size bothered Billy Lee. He was too shy to tell anybody. He used to hide in school corridors and cry because he wasn't growing like other children, his mother remembers with a mother's personal heartache. No one knew it then but the unavoidable infancy undernourishment was to be worth conservatively $6 million to Bill Shoemaker. The handicap Saturday was a typical Shoemaker race, relaxed, confident. Prove It settled just off the pace, was urged mildly on the backstretch, was given a breather on the far turn and burst into the lead entering the stretch and won eased up, ears prickling, a sure sign of a horse not extended. Horses run faster and farther for Bill Shoemaker than any rider alive — and more willingly. The Shoemaker trademark is gentleness. When he first began to exercise horses as an 85-lb. baby face, Trainer George Reeves was loathe to put him on fractious stock — until one day Shoemaker hoisted himself up on a mean-tempered mare which had deposited four successive riders in the infield. Reeves shouted for the boy to get off before it was too late. But Shoemaker brought the shrewish mare back as tame as Shakespeare's Kate and remarked mildly, "This gal sure has pretty manners, George." For Shoemaker, it was a long speech in those days. Today, he is a poised man-of-the-world and, judging by the stock he is squiring to parties these days, the Shoemaker touch is as smooth with the ladies as with the horses. "Supposing that horse got beat?" they raged to Reeves. "The boy never moved on him in the stretch." Said Reeves quietly. "Well, how many times that horse got beat with a boy scratching and a-whipping? Maybe this is the way to ride horses." For Bill Shoemaker, it quite evidently was — and is. It's a far cry from the days in the shoebox behind the stove but nature and hard work have made Willie Shoemaker rich and famous. Brother Lonnie, who grew up, just got a lousy break in life. Are you on Facebook? Follow the Jim Murray Memorial Foundation on Facebook and find event photos, upcoming events and past Mondays With Murray posts.